Our Dutch cooperation partner Agreement on Sustainable Garments and Textiles (AGT) looks back at a successful year 2018. The number of participating brands has risen to 92, representing nearly half of the Dutch garment and textile market. Collective projects, training courses, workshops and tools support members in driving sustainability in textile supply chains, often in cooperation with the Textile Partnership. Since January 2018 AGT and the Textile Partnership jointly promote the risk based due diligence approach as described in the OECD Due Diligence Guidance for Responsible Supply Chains in the Garment and Footwear Sector. As AGT and the Textile Partnership are aligning on the basis of the OECD recommendations both agreed on optional mutual associate membership. The Partnership Initiative Chemical and Environmental Management aims at introducing a sustainable and innovative chemical and environmental management in the production facilities. By substituting harmful chemicals of wet processes, labour safety as well as environmental protection can be improved. Furthermore, the Partnership Initiative aims at transmitting knowledge on how to store and handle chemicals in order to reduce the risk of accidents within the production facilities. To raise the awareness on chemical management and to facilitate the adoption of relevant measures for textile producers, the Partnership Initiative Chemical and Environmental Management developed a Basic Training. This Basic Training consists of seven modules and mainly addresses decision makers and the middle management of factories dealing with wet processes and having no or only limited experience in the area of chemical management. The aim is to promote basic knowledge about sound chemical management in textile supply chains, with a focus on wet processes. The Basic Training takes one day and consists of lectures as well as practical examples and tasks. To be able to offer the Basic Training to interested brands in the long-term, the Partnership Initiative Chemical and Environmental Management is currently working on a structure for anchoring the Partnership’s trainings. At 11th April more than 100 members of the Textiles Partnership met at the Partnership’s Working Meeting in Cologne. Ongoing and new projects of the Textiles Partnership were discussed in 14 break-out sessions. The focus was put on the projects regarding living wages and grievance mechanisms as well as the implementation and integration of block chain technologies into the supply chain. Further topics were the promotion of organic cotton, sustainable man-made fibres, chemical and environmental management, water waste standards, combating child labour and approaches to reduce greenhouse gases in the textile industry. The sessions at the Working Meeting covered almost the whole range of topics within the Textiles Partnership. The members worked together with the aim of reaching real improvements within textile supply chains – on an individual as well as on a collective level in the form of Partnership Initiatives. The next Working Meeting will take place on 18th September 2019 in Hamburg. Happy sheep = good wool? Not automatically. The newly published guideline explains how to keep sheep under good conditions and how to procure sustainable wool. It addresses animal welfare, due diligence and measures against flystrike. The ‘Five Freedoms’ set international animal welfare standards. Concerning sheep farming this means among others that sheep should not suffer due to overheating, careless shearing, and painful castration methods. To control the flystrike a surgical procedure called ‘Mulesing’ was introduced about 90 years ago. In this procedure the skin around the sheep´s tail is removed leading to painful wounds. The Partnership for Sustainable Textiles has a clear position against mulesing. The guideline presents alternatives to this procedure. As in every economic field, due diligence is also important in the process of sheep farming and wool production. Companies need to identify, assess and address virgin wool specific risks. Traceability and assessing key points in the supply chain is essential. We are happy to welcome the Bundesverband E-Commerce und Versandhandel Deutschland e.V. (bevh) as a new member to the Partnership for Sustainable Textiles. The bevh represents the interests of its approximately 600 members and is at the same time a platform for networking. The members of the online- and mail-order-business embrace 75 per cent of the German business-to-consumer-turnover. As members of the Textiles Partnership and the Accord, we again urge the Government of Bangladesh to comply with existing agreements concerning the Transition Accord and thereby, reaffirm the demands expressed in a letter to the Government in August 2018. Please find the complete letter of 28 August 2018 here. On today’s World Women’s Day a delegation from the Partnership Initiative Tamil Nadu visits the south Indian state of the same name. It works on-site on the improvement of the working conditions in the textile industry with the implementation partners and in dialogue with representatives of all actors in the local textile industry. For about nine months, the following members of the Partnership for Sustainable Textiles have been involved in the Partnership Initiative: HUGO BOSS, KIK, OTTO GROUP, Tchibo, FEMNET, the BMZ, Transfair, and Brands Fashion. About 80% of the workers, who work in spinning mills, are women. Often, they receive wages below the official minimum wage, have to do excessive overtime hours, and suffer from sexual harassment. Furthermore, the formation of trade unions and the freedom of association are suppressed. Mary Vijakula, from the local implementation partner SAVE, reaffirms great importance to the Partnership of Sustainable Textiles. Often, young women cannot openly claim their rights: “It is a great step forward that the Initiative of the Partnership for Sustainable Textiles directly involves the young women inside the factory in setting up an appropriate mechanism to provide redress for grievances.” (You can find the whole Interview with Mary here). What has been achieved so far: 61 spinning mills signed an agreement to conduct trainings. About 3,500 workers have been informed about their rights due to the trainings. In cooperation with the management of the factories, in the end of the training sessions compliance committees will be established and accompanied in their committee work. Next steps: By the end of February 2020, training programs will be conducted in up to 300 factories. In addition to that, the dialogue between local actors will continuously be strengthened through the multi-stakeholder initiative Tamil Nadu (MSI-TN) – also in direct contact with members of the Textiles Partnership. The first milestones on the way to improve the working conditions have been achieved. Nevertheless, there is still a long way to go to achieve the initiative’s ambitious goals. Further information about the Partnership Initiative can be found here. The Partnership for Sustainable Textiles and Cotton 2040 have now launched a German version of the CottonUP guide to sourcing sustainable cotton, in support of the Partnership’s aim to use at least 35% sustainable cotton by 2020, with 10% of the total volume being organic cotton. The Guide is a practical resource to inform and guide business leaders and sourcing teams on the issues, benefits and options for sourcing more sustainable cotton, with the aim of enabling them to fast track their cotton sourcing strategies across multiple standards. It is part of Cotton 2040, a multi-stakeholder initiative to significantly increase the use of sustainable cotton internationally. The CottonUP guide highlights the business case and main sourcing options for sustainable cotton, provides guidance on creating a sourcing strategy and working with suppliers, and shares case studies from companies that have already woven sustainability into their sourcing. Convened by Forum for the Future with support from the C&A Foundation, Cotton 2040 brings together leading retailers M&S, Target and Aditya Birla Fashion Retail Ltd; industry standards Better Cotton Initiative and Cotton Made in Africa (CMiA), organic standards (represented by Textile Exchange), Fairtrade, industry initiatives CottonConnect, IDH – the sustainable trade initiative, Cotton Australia, Proudly made in Africa and Organic Cotton Accelerator as well as the Centre for Sustainable Fashion at London College of Fashion. 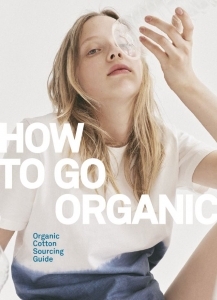 Additionally, the Organic Cotton Sourcing Guide “How to go organic” provides detailed information concerning the procurement on organic cotton in particular. 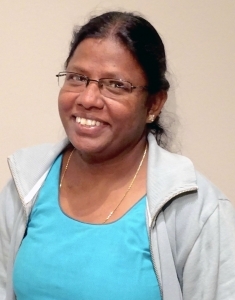 We interviewed Mary Viyakula from the Indian non-governmental organisation SAVE about the Partnership Initiative in Tamil Nadu, about her personal goals in life and workers’ rights. Seventeen percent of all employees in India work in the textile and garment sector. The centre of yarn production is in the South Indian state of Tamil Nadu, where approx. 2,000 spinning mills are located. About eighty percent of all spinning mill workers are women, including minors. The lower tiers in the supply chain, such as spinning mills, often have unacceptable working conditions. In many cases, workers often have to do excessive overtime, and the payment of the official minimum wage cannot be ensured by now. In addition to that sexual harassment and lack of freedom of association pose a threat, especially for young women. A Partnership Initiative is now aiming to improve this situation. Together the members of the Partnership Initiative (BMZ, FEMNET e.V., HUGO BOSS, KiK, Otto Group, Tchibo as well as TransFair e.V. and Brands Fashion as associated partners) aim to strengthen labour rights through local dialogue, in-factory- and inspector-training. The Partnership Initiative is also helping to establish complaints committees. The local implementing partner of the Partnership Initiative in Tamil Nadu is the non-governmental organisation SAVE. Mary Viyakula lives in the Tamil Nadu region and has been working for SAVE for years. She talked to us about her personal motivation and explained what the joint engagement in Tamil Nadu is all about. What is your motivation to work for SAVE? Mary: My motivation came from the people I met. A lot of workers in factories are not able to make a decent living for their children, so the children end up in factories instead of going to school. If the conditions in the factories improve, the children will automatically get the chance to get an education. So this is what I have identified to concentrate on, and that is why I got involved in labour rights education. What is the goal of the joint initiative with the Textile Partnership? Mary: Under the umbrella of the Multi-Stakeholder Initiative Tamil Nadu (MSI-TN) we aim to improve the working conditions in spinning mills and work in three areas. We promote dialogue among relevant stakeholders in the local textile industry to improve the enforcement of existing law and to make clear what the rights of workers are. We also train workers and management in factories about labour rights and support the establishment of complaints committees and grievance redress procedures. Furthermore, the partnership initiative will train state labour inspectors who will align inspections with international standards and improve their quality. Dialogue and in-factory training serve to raise awareness on labour rights. In addition to that, grievance redress procedures need to be in place. Mary: That’s right. With the in-factory training we would particularly like to address issues for young women in the textiles and garment industry: Their employment relationships, their working hours, the payment of a living wage, their freedom of movement and employment benefits. We face major challenges in the factories, for example, existing law is often ignored. In particular, young workers are frequently unaware of their own rights, and of course, awareness is the first step in addressing violations. However, there is no mechanism in place to investigate their complaints. The Initiative of the Partnership for Sustainable Textiles directly involves the young women inside the factory in setting up an appropriate mechanism to provide redress for grievances. What are your hopes for the Tamil Nadu region in the future? Mary: That`s a good question! All working women have to be respected; they should feel free to work, feel that they’re in a dignified labour situation. This program should help! Dignified women workers who should not be in confined situations. Women have to be respected.